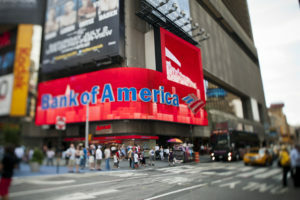 The Management of the Bank of America Corporate Office Headquarters here in 100 N. Tryon St Charlotte NC 28255, wishes to inform you that after a brief meeting held by the Bank executives on the 1th Day of June 2015 at precisely 12:00 Noon Eastern Daylight Time(EDT), we deem it appropriate to intimate you that your Inheritance funds worth US$15,500,000.00 (Fifteen Million Five Hundred Thousand US Dollars) will be transferred into the United States Treasur Account with the JP Morgan Chase Headquarters at 270 Park Avenue in New York according to the record we got from Africa due to your inability to complete the transaction and your failure to meet up with a minor transfer obligation. The actual transfer of your funds US$15,500,000.00 into the government account comes up next week if nothing is done. This is in line with the instructions of the Treasurer of the United States; Mrs. Rosa G. Rios that all unclaimed funds be paid into the United States Government Treasury Account as unclaimed funds in compliance to Section 3; Subsection 1(a) of the United States Financial Law enacted in 2001 after an attack on our dear Country on 11th September 2001. Note: in other for you to receive your funds do get back to us immediately so that we could remove your funds transfer from the list of those transactions to be ceased by the United States Government. The fund will be loaded in an ATM Visa Card (issued in your name) and be dispatched to your mailing address pending when you respond to this email.